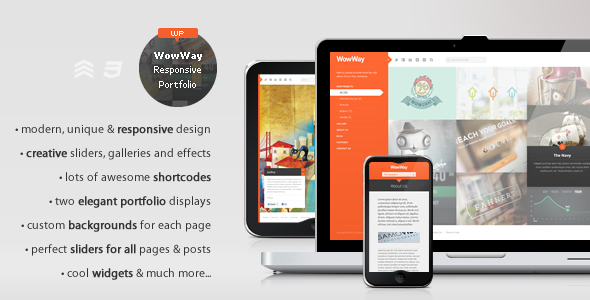 The Best Responsive Portfolio WordPress Themes 2016 collection for users who want to showcase their work on a creative portfolio site and compatible with all devices. 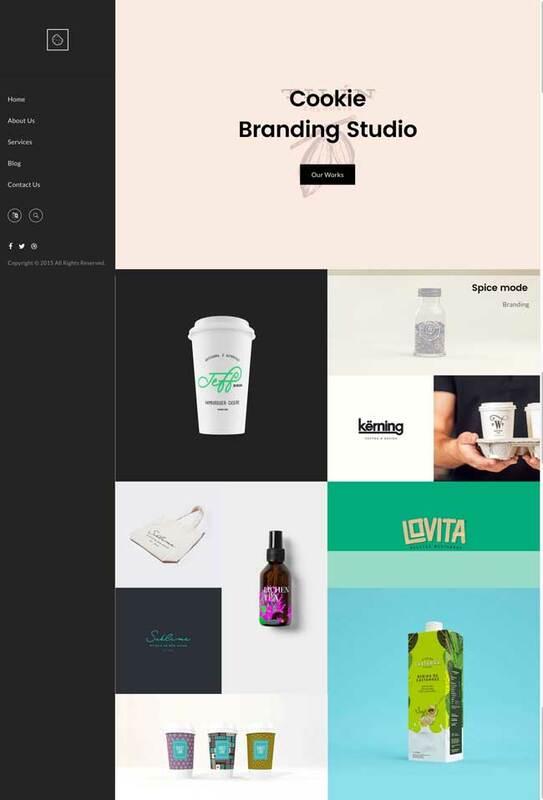 More than 45 of the best Responsive Portfolio WordPress themes bellow that is perfect for promote your work, agencies, designers and creative peoples. With the Responsive Design and Retina Ready – Serve an optimised version of the volumes theme to your visitors using tablet and mobile devices. 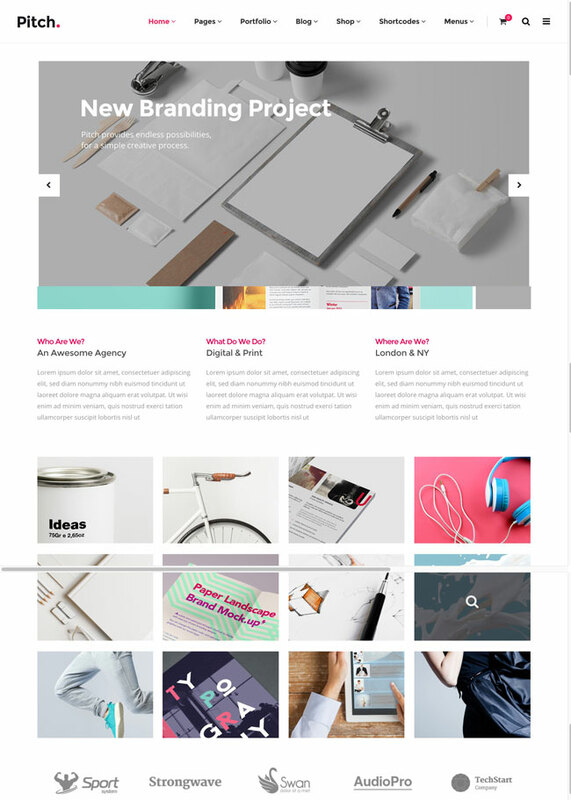 Essence is a Creative and Portfolio WordPress theme which bring you ideas to create your websites. With Essence is suitable for Creative, Portfolio, Personal, Agency and Company sites. Lupo is an easy-to-use portfolio WordPress theme for freelancers and agencies. Graphic designers, illustrators, photographers or any type of creative is now easily able to create a quick & easy portfolio to showcase their work with a unique and creative touch. 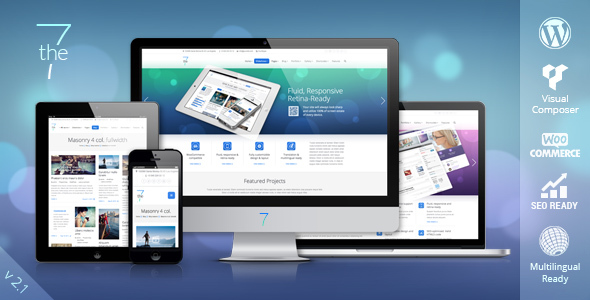 7 Level is a Business Company WordPress Template powered by Cherry Framework 4.0. Fully responsive, cross browser compatible and SEO-optimized, this powerful WP theme can be used for blogs. 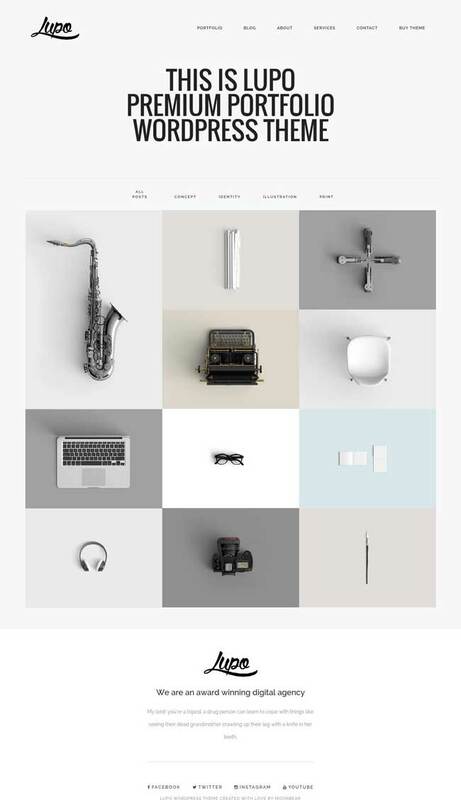 Alpha is a unique portfolio WordPress theme, carefully crafted to showcase your very best work. With a custom built slider, deep AJAX integration, smooth animations & fast loading times, Alpha is the perfect choice to amaze your visitors with a great browsing experience. Looking good on any desktop or mobile device, built with SEO and social sharing in mind, and last but not least, incredibly easy to use, Alpha is the ultimate online presentation for your portfolio. EZIO is a magnificent multi-purpose WordPress theme that allows you to build high-quality websites in seconds with our one-click demo importer which includes sliders, widgets and theme options. You can design layouts with the included Visual Composer plugin to easily edit and create content without having to touch any code. Armed and ready with an array of powerful premium plugins, EZIO can be easily customized in seconds by using the Live Customizer which means that EZIO doesn’t include a bloated and clunky theme options panel but instead, you will be able to easily modify your theme options with live preview. 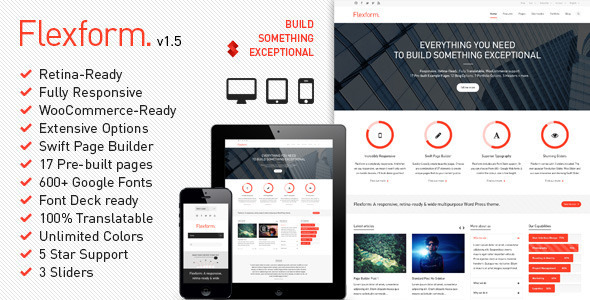 Trendy is a multi-purpose, clean, creative, fully responsive and powerful WordPress Theme. 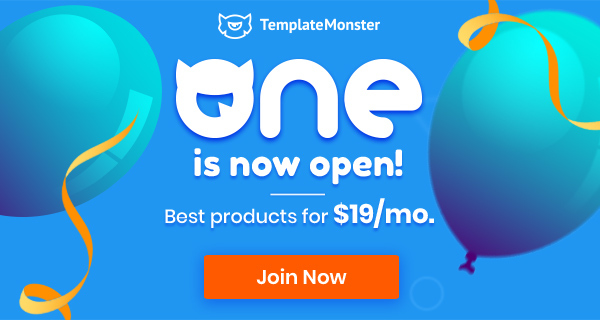 Our theme has included multiple header layouts, Revolution Slider plugin, drag & drop visual page builder (Visual Composer), powerful theme options panel, video backgrounds, parallax, many elements, 600+ Google Font and more. Great modern design and Powerful features makes Trendy irresistible. 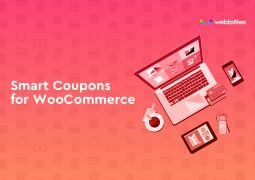 All our theme can be modified with the panel, a lot of page layouts, headers, layout options, blog options are avaliable, all the fields have useful hints to help you. Trendy is the best choice for you to create a business, creative agency or personal portfolio, photography or a blogging website. 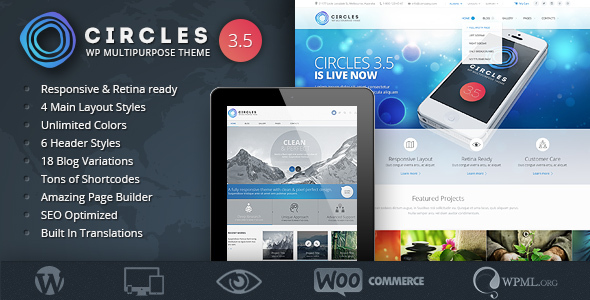 Cookie is a Multipurpose Creative Responsive WordPress Theme built with Visual Composer. It is clean and sleek designed for all. 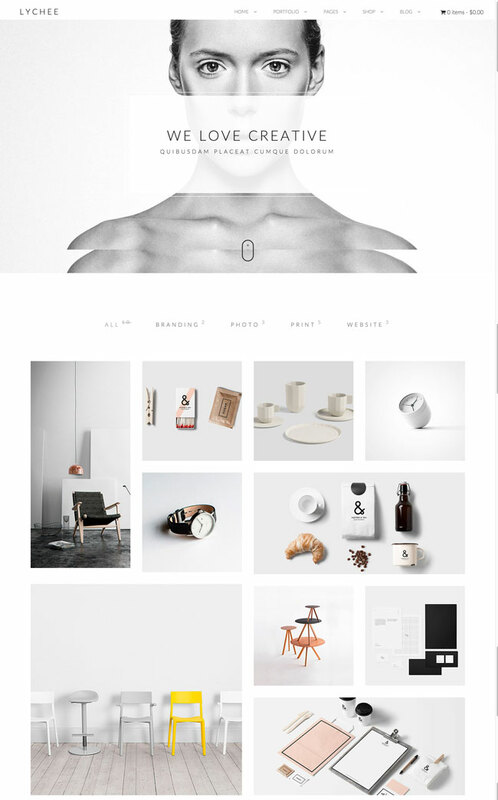 You can use this theme for corporate, agency, personal, blog, portfolio and shop. 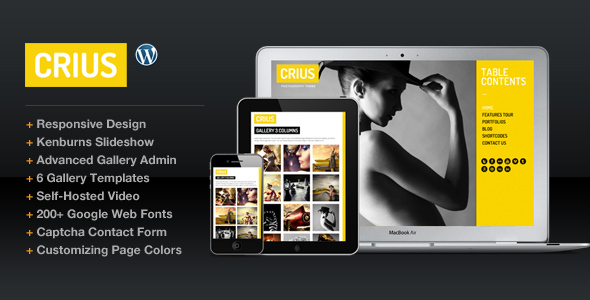 it includes 15+ layouts with wide range of customizations. Its especially crafted for creatives, niche lovers and who looking for innovative concepts. 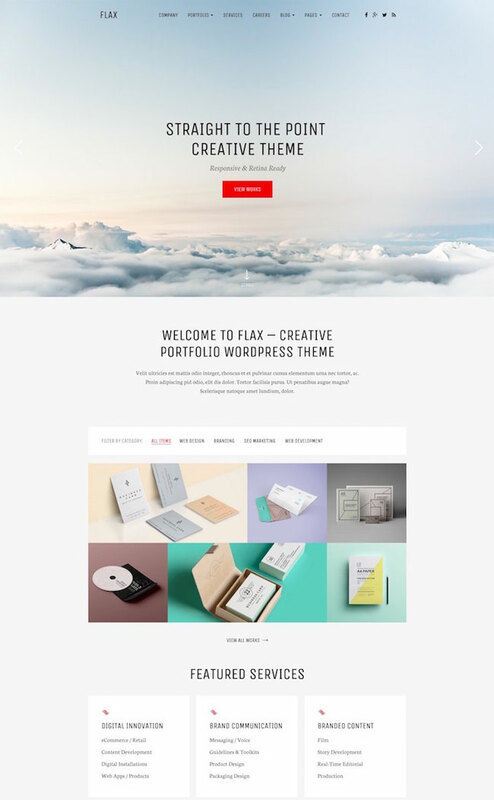 Flax it’s a creative WordPress theme, mainly related for portfolio showcase with plenty of layout designs, theme options, drag and drop visual builder with pre-designed elements to create your portfolio. 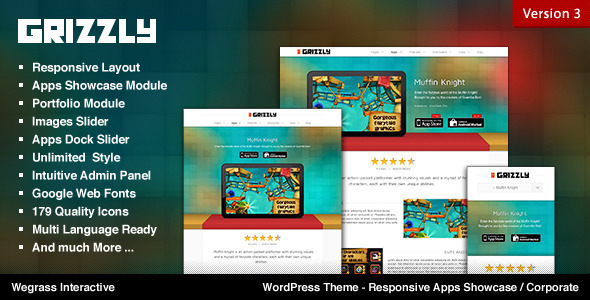 Arkfield is an elegant WordPress theme conceived for people who enjoy spreading around the world their work. The only thing that matters is the passion for what you love most – whether you are a traveler, photographer, designer or architect. 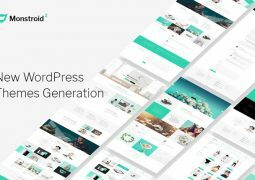 When developing Arkfield, our main purpose was to create an easy-to-use theme even for those who experience WordPress for the first time. We carefully crafted each feature of the theme in order to get the perfect result for your portfolio showcase. 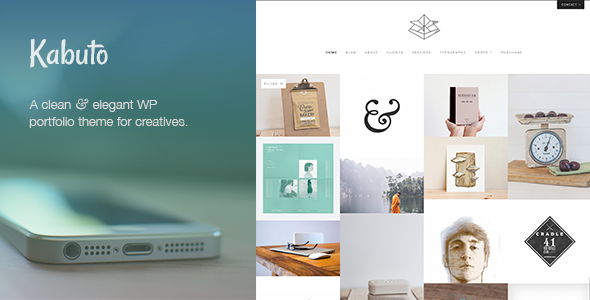 Barton is a Smart Portfolio WordPress Theme for Creative People with clean and minimalistic style. 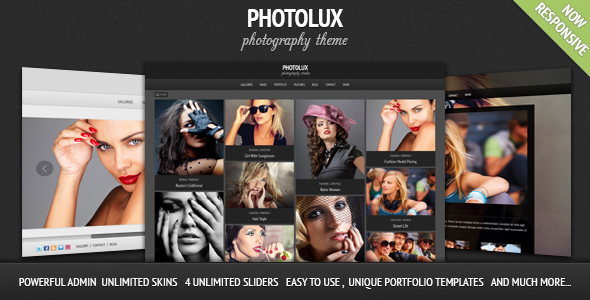 This theme is very flexible, easy for customizing and well documented, approaches for personal and professional use. BARTON has been coded in HTML5 & CSS3 and jQuery. 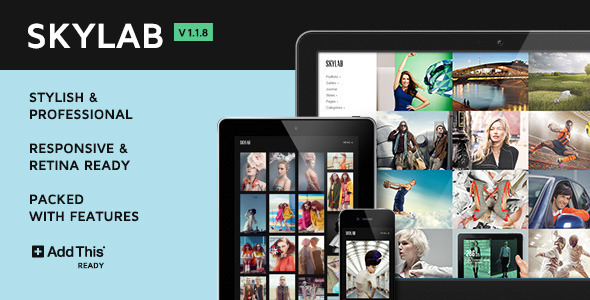 It has a solid flexible responsive layout that scales from 320px to 1260px width all Bootstrap features. Pitch is a Awesome WordPress Portfolio theme for Designer or Agencies. Whether you’re a freelance designer or a full-blown agency, your portfolio is an essential part of your website. 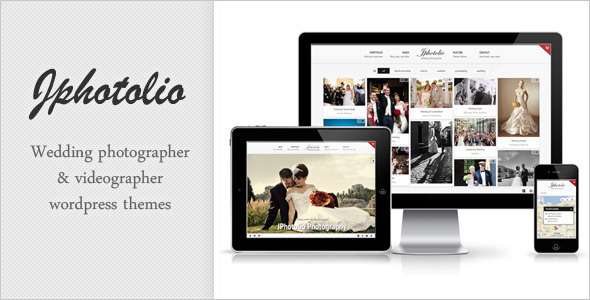 So why not make a stunning and captivating portfolio with Pitch Portfolio layouts. 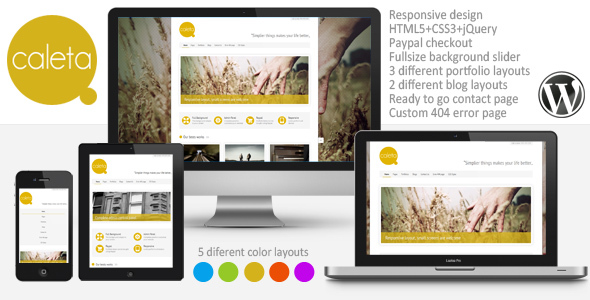 Lychee is a 100% responsive Multi-Purpose One & Multi page theme with awesome parallax effects. The theme is powered by the Twitter Bootstrap 3.3 Framework. It’s clean and professional design is perfect for both agencies and creative studios but also for modern business. Lychee can be easily customized to suit your wishes – there are absolutely no limitations. 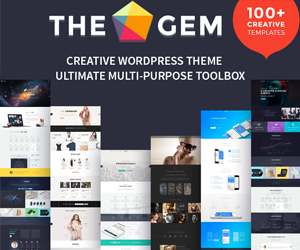 Creek is a hyper minimal portfolio template with modern look-n-feel, totally fat free, and built for one purpose in mind. 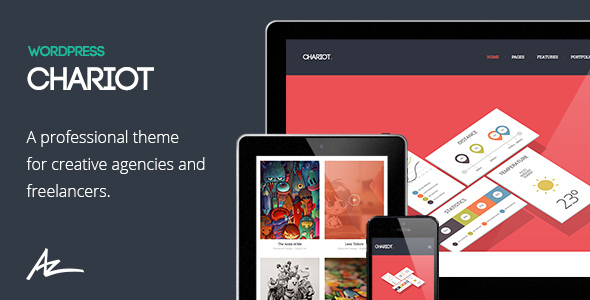 It can help you to showcase your work in such a sleek and elegant way that you will be amazed. Using creek is also very easy. Well documented codebase makes it very extendable at the same time. 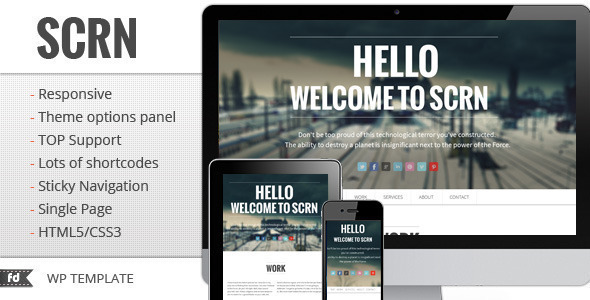 Creek comes with excellent admin panel and page templates that can be really handy for you to design a nice website in no time. Avawa is a creative WordPress theme mainly related for portfolio showcase and blogging with plenty of layout designs, it’s ultra-simple and extremely easy to use WordPress theme with Responsive & Retina ready layout, theme options and rich drag and drop content builder elements to create your portfolio and/or personal blog site in minutes. 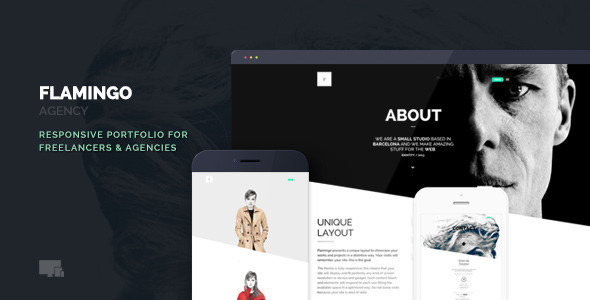 Denali is a responsive Multi-Purpose portfolio WordPress theme. Quick to setup and easy to customize, thanks to a detailed manual, and the carefully structured code, Denali is the perfect theme for showcasing your work in an elegantly beautiful way. 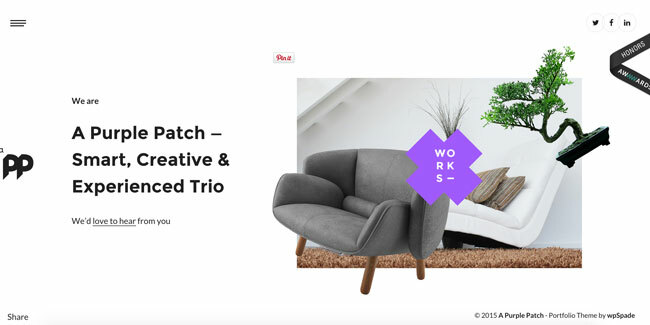 A Purple Patch is a polished creative theme for WordPress. Absolutely unique and mature design is what You need to inspire your website visitors. Make it easy with your new modern theme. 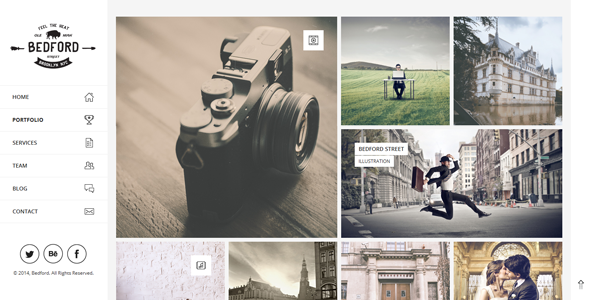 Kabuto is a gorgeously minimalistic WordPress theme. Quick to setup and easy to customize, thanks to a detailed manual, and the carefully structured code, Kabuto is the perfect theme for showcasing your work in an elegantly beautiful way. Bedford is a responsive portfolio wordpress theme that enables you to beautifully showcase your work on any device. 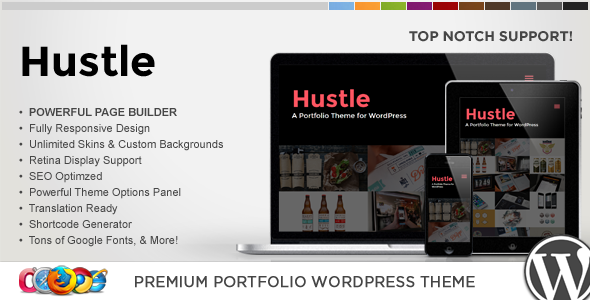 WP Hustle is a very powerful, clean and fully responsive design (try re-sizing your browser). Coded with care in HTML5 & CSS3, WP Longshore is easy to customize and well documented. Its very easy to setup, and comes with free lifetime support via our support site..
Avada is so clean, super flexible and has a fully responsive design! 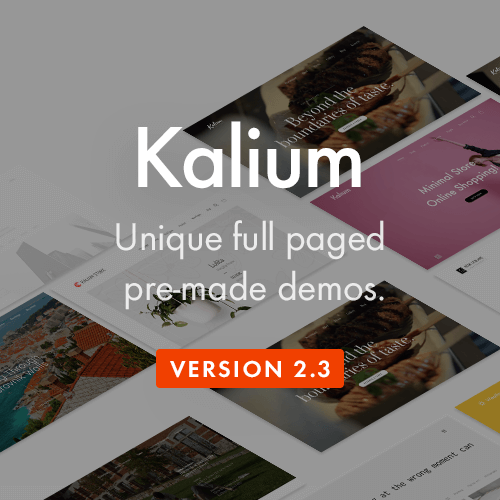 This theme sets the new standard with endless possibilities, top-notch support, and free lifetime updates with newly requested features from our users. 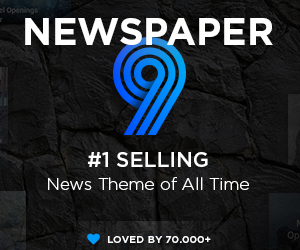 And its the most easy-to use theme on the market! Avada is very intuitive to use and completely ready to operate out of the box. 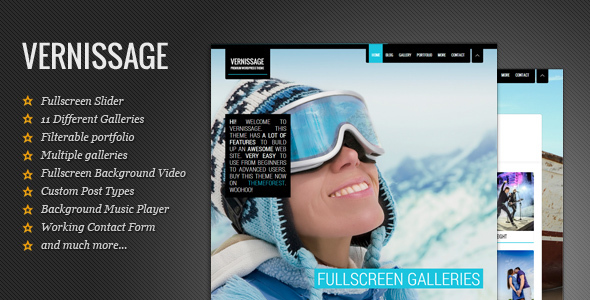 Built with HTML5 & CSS3, a lot of thought and care went into this theme making it a pleasure to use. Avada gives you an awesome tool to get your website noticed! The clean design can be used for any type of website; business, corporate, portfolio, blog, products, etc. Come join the 40,000+ users and be a part of this awesome community! 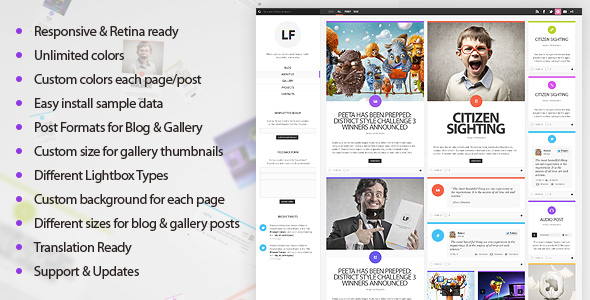 LiquidFolio is one of the most friendly and colorful theme with fully responsive design! LiquidFolio premium wordpress theme comes with powerful admin panel that gives you full control over your theme look. This theme sets the new standard with endless possibilities! 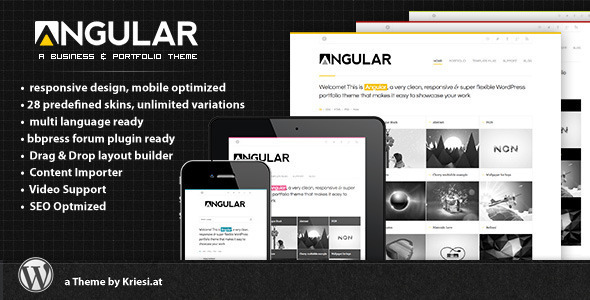 Angular is a responsive WordPress Theme (try resizing your browser), suited for users who want to showcase their work on a neat portfolio site. The Theme is built on top of the fabulous Avia Framework and comes with support for the bbPress Forum plugin, just in case you need it. It comes with a plethora of options so you can modify layout, styling, colors and fonts directly from within the backend. 28 predefined skins (which are easy to modify from your backend), font and color options as well as dynamic template builder will help you create the Website you need in no time. 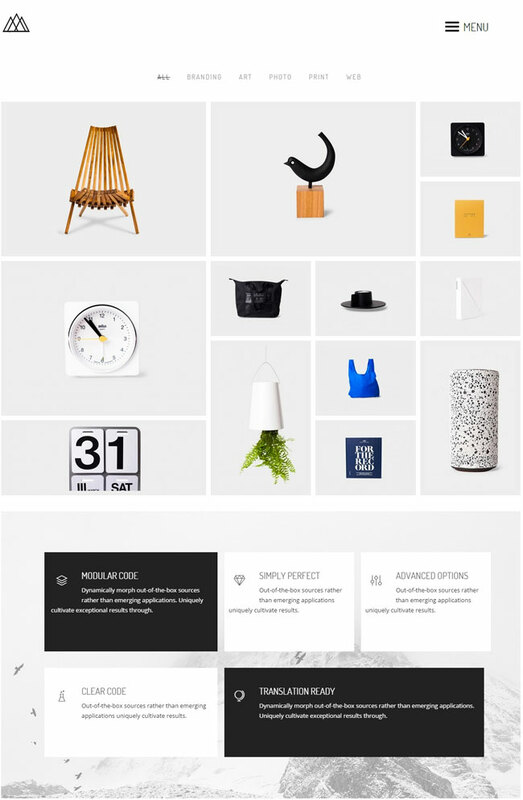 QuickStep is a clean and minimal one page portfolio theme. It uses CSS3 to responsively adapt to different screen widths so it looks good on any device. 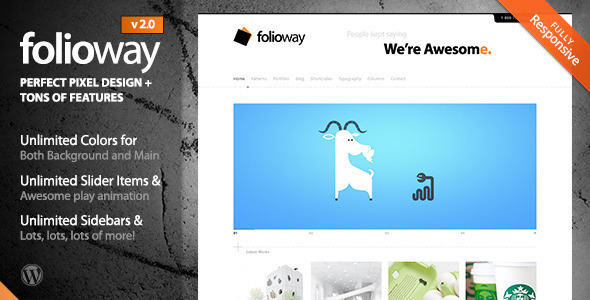 Folioway is a perfect pixel WordPress theme, not only its clean and elegant, it also comes with tons of features like amazing slider, unlimited colors, etc. It’s incredibly powerful and flexible and easy to use! 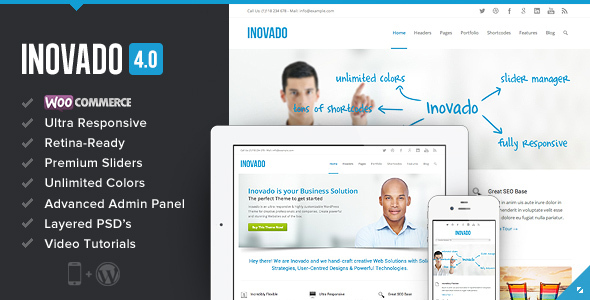 It is just the best wordpress theme for your or your company’s work presentation! Titan Responsive Portfolio Photography Theme has built-in gallery and portfolio modules support many content types including image, videos and custom HTML etc. 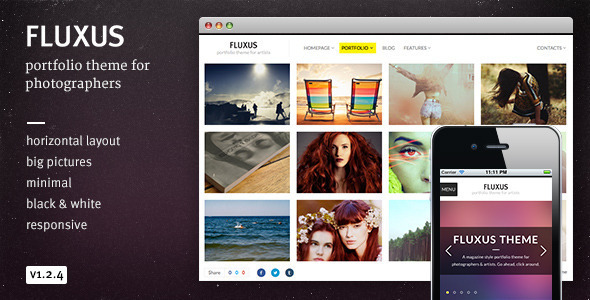 Flexform is the ultimate multi-purpose WordPress theme. It’s super responsive, retina ready, and built upon the 1170px Twitter Bootstrap framework. Featuring a clean, modern, and superbly slick design, packed with the most powerful Swift Framework which offers limitless possibilities. The incredible Swift Page Builder is at the core of our framework, giving you the control to create sites that do your content justice. With so many features, tools, variations and options to offer, it’s the last corporate theme we think you’ll ever need. 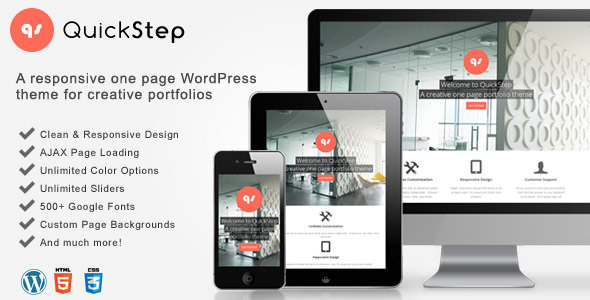 Me – OnePage Portfolio is the wordpress version of the five start rated html template called “Me”. It designed and built with user experience in mind! It is an easy-to-use wordpress theme with detailed documentation, and tutorial videos. 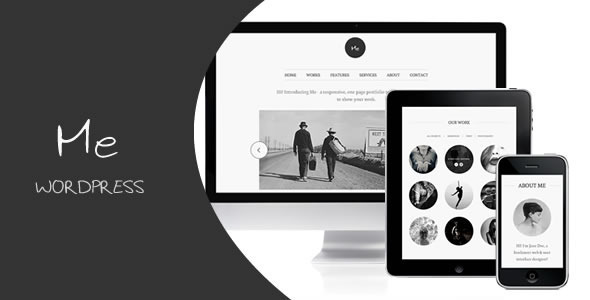 Caleta is a wordpress responsive portfolio theme for designers and photographers. It has a lot of jQuery functions that does it to look modern and amazing at the same time. A complete admin panel makes it easily manageable, you can change texts, colors and more there. Includes paypal checkout for your portfolio items (if needed), so visitors can buy and download it. Each single portfolio item block size are selectable (square, vertical, horizontal or random). And you can control what of them you want to show on home page. The design is responsive, what does mean? it stretchs to fit your mobile, tablet or computer screen!! It becomes with 2 different blog layouts, 3 different portfolio layouts and 5 different color layouts. 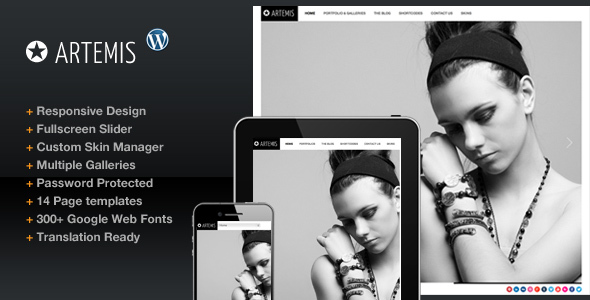 Artemis Photography Gallery Portfolio Theme has built-in gallery and portfolio modules support many content types including image, videos and custom HTML etc. The theme is designed to look great on every major desktop browsers and also look great on both tablet and mobile devices too. 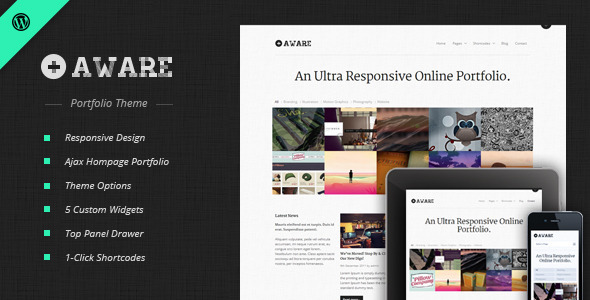 Responsy is a responsive WordPress theme suitable for personal portfolios or creative agencies. Responsy has been coded in HTML5 & CSS3 and jQuery. 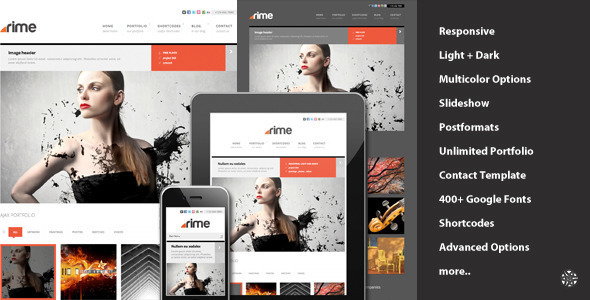 It has a solid flexible responsive layout that scales from 320px to 1170px..
Rime is a powerful theme for Creative Professionals. Variety of portfolio showcases can be generated using the theme such as ajax based sortable showcases capable of displaying images,videos and slideshows with client information. The theme is packed with showcase solutions including shortcode thumbnail generations that supports multiple image drag and drop capability. The blog post use audio,video,image,quote,aside note,links and slideshow postformats. Chariot is an ultra responsive, beautiful WordPress theme that is perfect for freelancers, agencies, designers and creative people. It is an elegant & modern solution packed up with an incredibly great amount of high quality features and based on Twitter Bootstrap Framework 3.0. 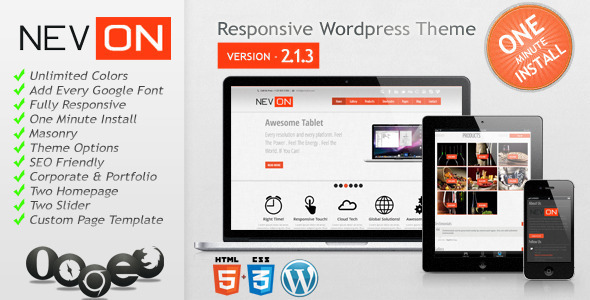 Nevon Theme is clean,flexible theme with fully responsive design (Fits all popular mobile devices and tablets). 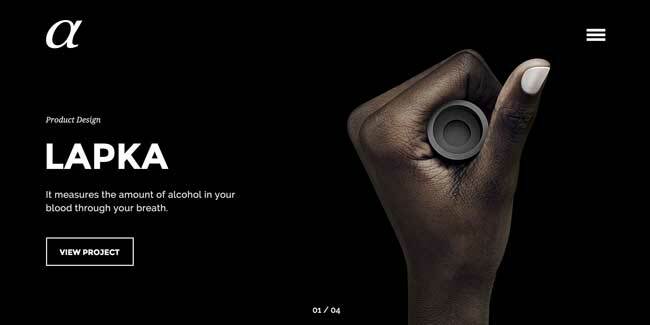 Uses the power of HTML5 and CSS3. Easy to install with our special One Minute Install system. Nevon specially designed for business, corporate, portfolio, products, gallery and so much more consepts. 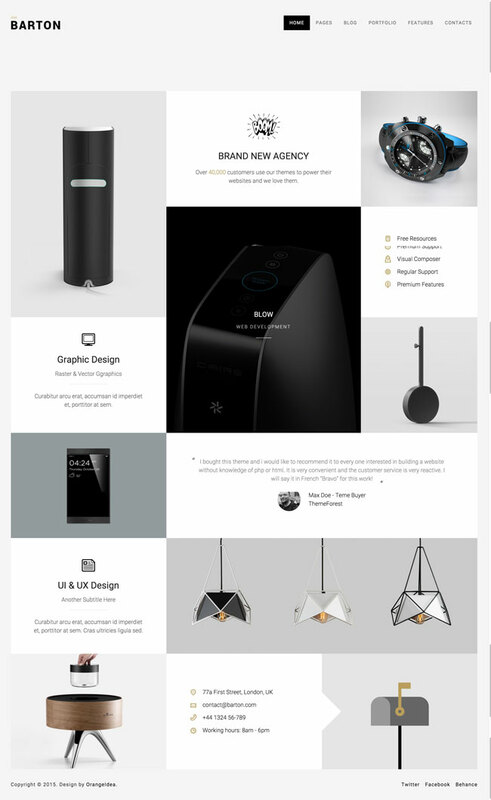 Nevon Theme focus on clean design with eye catching objects. One of the most important thing about Nevon Theme is, it allows you to add so many shortcodes in your website. This way, you can add so many different features just by adding its shortcode. 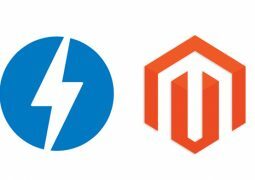 Many options for Shortcode Usage: Page Builder & Shortcodes Manager & Shortcode Lists Pack. Clique is a Premium AJAX Responsive WordPress theme that provides a powerful way to showcase your best work – perfect for any creative or digital agency. 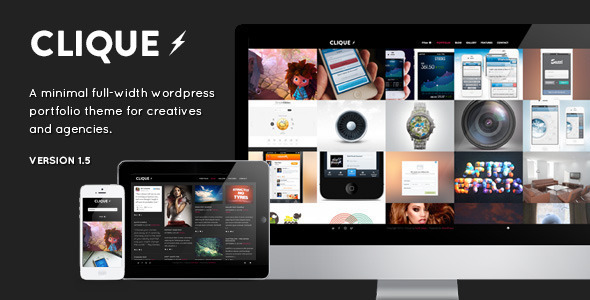 With powerful meta options and features, Clique will take your website to new levels of awesomeness.